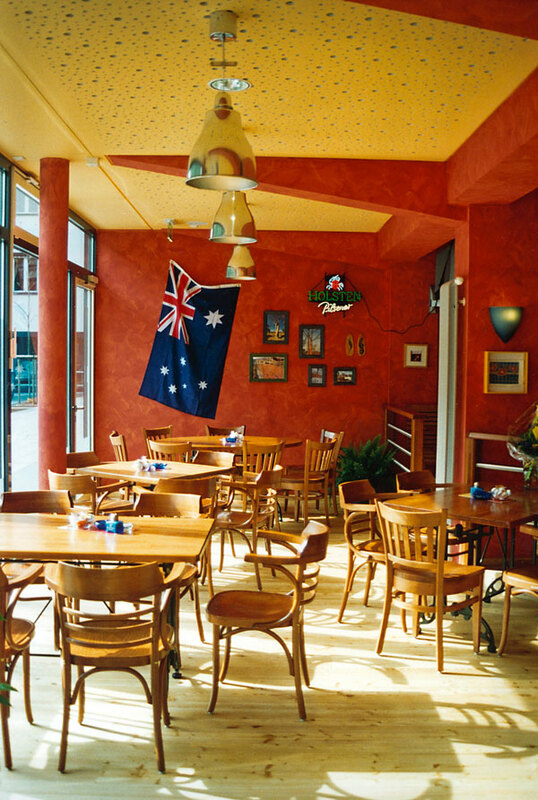 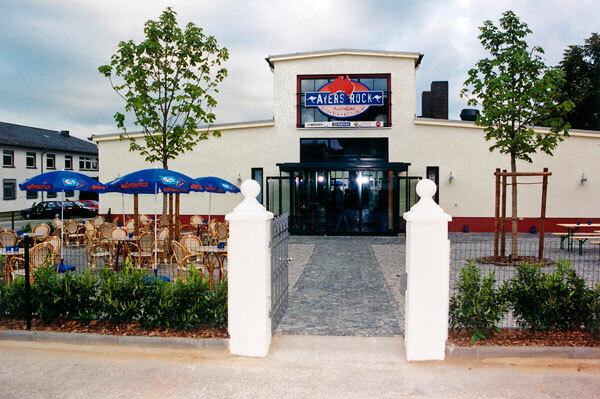 Designer Constructions was commissioned to design a restaurant with an Australiana feel in Frankfurt Germany. 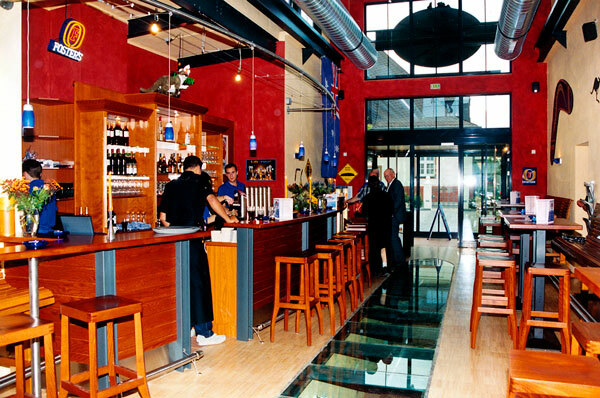 A main feature of the entrance was a glass floor which exposed a chamber below in which a life size crocodile was housed. 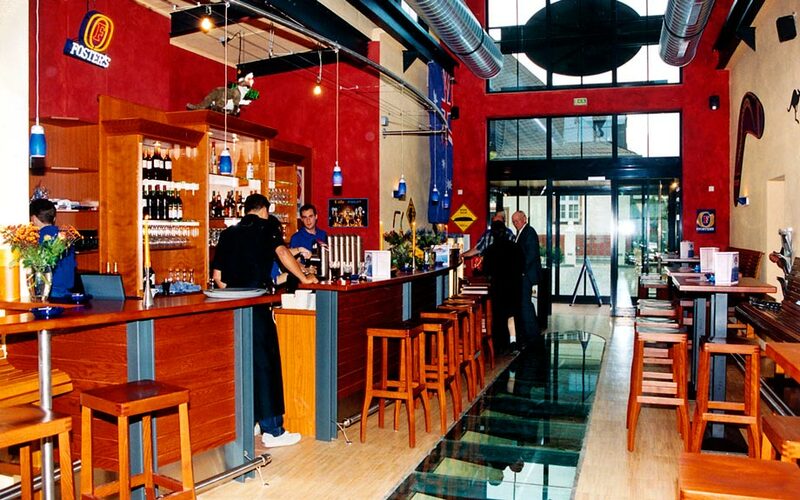 To enter the dining area of the restaurant, clients had to walk over a glass floor that covered the animal. 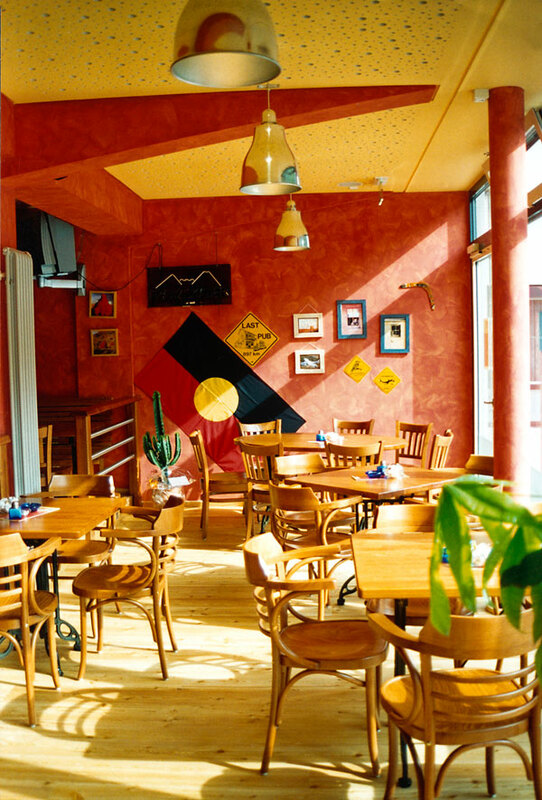 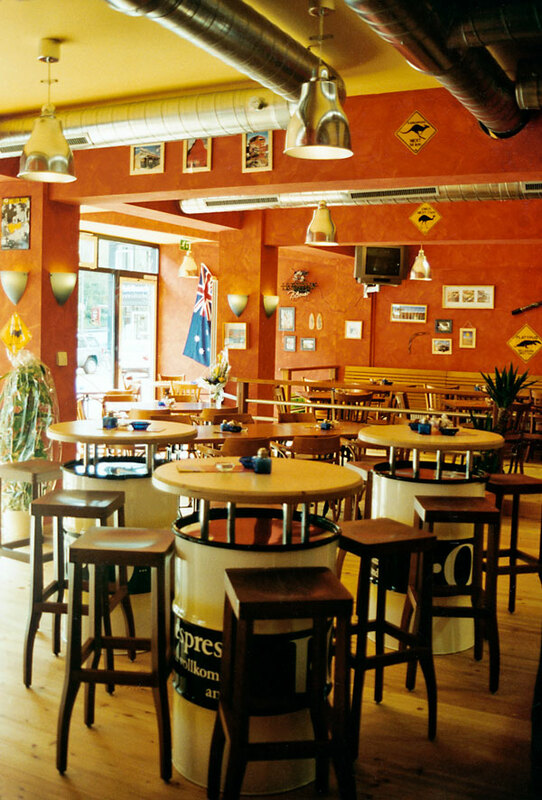 Australian and Aboriginal flags, boomerangs and surf memorabilia were featured strongly in the decor. 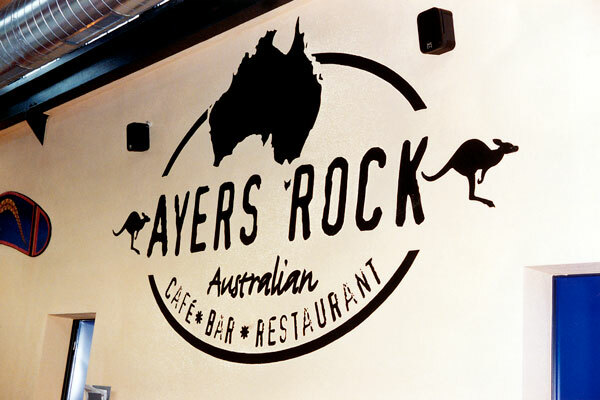 Earthy tones of ochre were used throughout to compliment the casual ambience reflecting the fun kitsch perception of Australia as surf and sand culture.